Huge apologies to everyone who follows this blog, you may have noticed our lack of blogging. We have no excuse other than we’ve just been too busy doing things to write about them. So here is a quick round up of our main activities over the last year and what a year we’ve had! 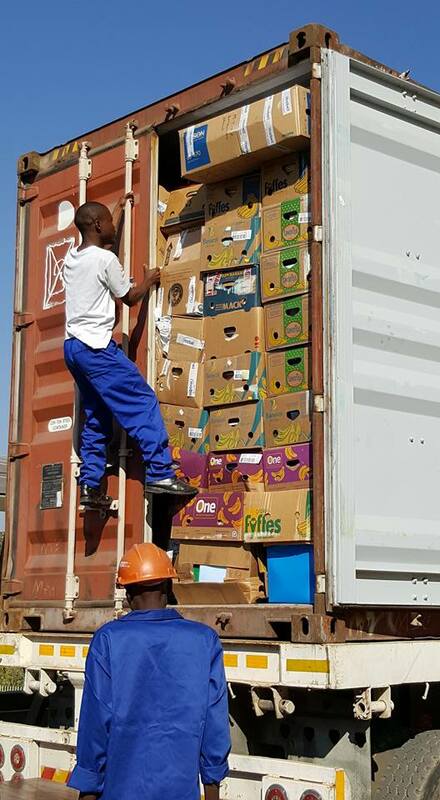 We continue to exist to supply all of the enterprises in Malawi with crucial equipment and people needed to help Beehive in Chilomoni to thrive. But this year we’ve had a huge focus on increasing our financial sustainability by generating all of our own funds to pay for the shipping. So it’s been the year of Elephant Bike. We started this, our first UK enterprise back in 2015, but throughout 2016 these amazing bikes have dominated our work. We’re renovating and selling a limited edition of 5000 of the beautiful and robust Royal Mail Mailstar bikes to sell here in the UK. Each one sold, pays for another to go to Malawi. 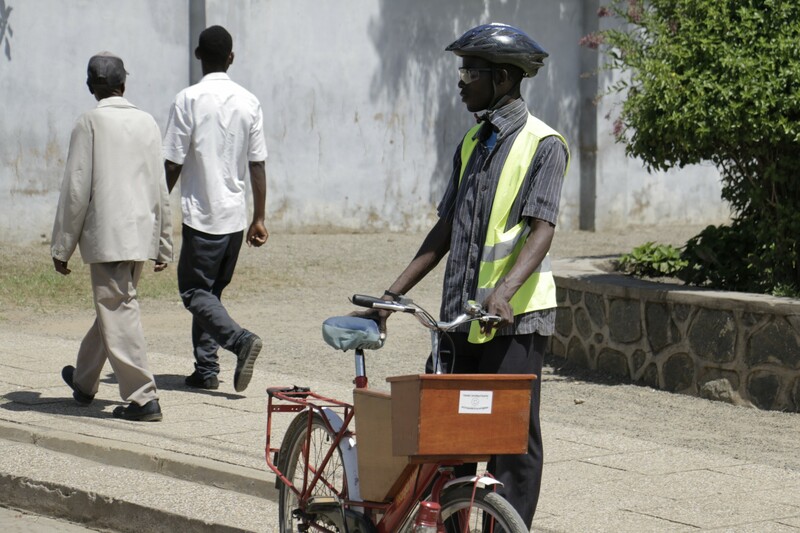 The ones we send to Malawi are not renovated; they are still fully refurbished by the Chilomoni workshops, so there are still plenty of employment opportunities for the trained bike mechanics in Malawi. So far we’ve sold around 700 bikes which has generated a significant amount of income- in fact in 2016 we’ve managed to ship over 1000 bikes, several hundred sewing machines and thousands of books… all funded by the Elephant Bike sales. Our UK team has grown to undertake all of this work. We’ve been joined by Mark Vyner, Workshop Manager and Kacey Ralph, Workshop Assistant, who along with Terry, make sure each and every Elephant Bike arrives to our customers in tip-top condition. 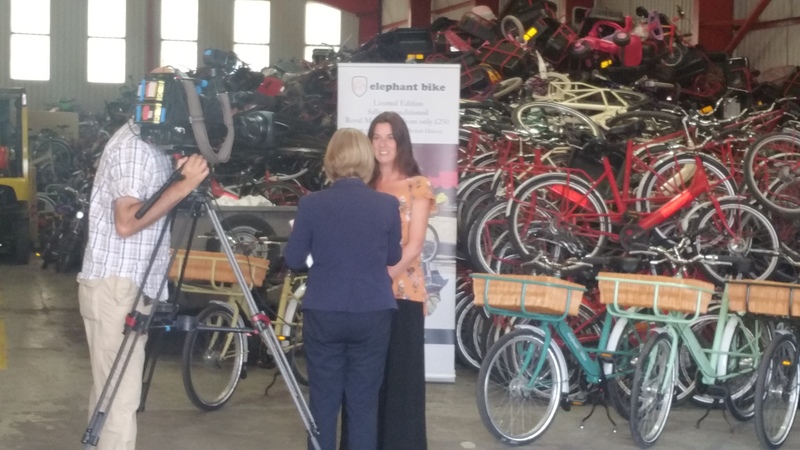 We continue to work with Swinfin Hall Youth Offenders Institute who help the Elephant Bike project by stripping down all of the bikes before the professional re-build. Terry, George and Mark in costume for a vintage bike show! Our merry gang of volunteers has grown too, this year we’ve been joined by Jerry, Brendan, Eileen, James and Ben who all give regular time to help us out. They join all of our “old” (in service longevity, not years!) volunteers who pack books, sell books, mend bikes, keep us tidy and drive around the UK… we couldn’t function without the hundreds of donated hours we’re given and we’re eternally grateful to all. 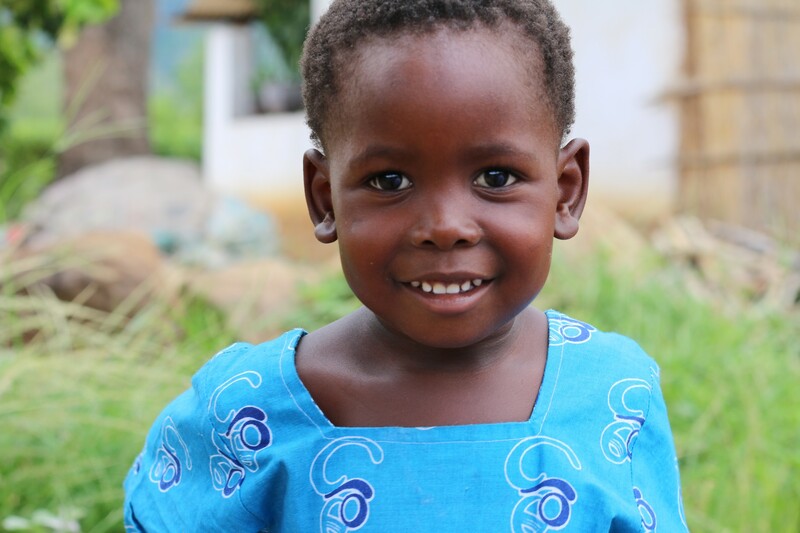 We continue to appeal for bikes, books and sewing machines to send to Malawi (a small proportion is sold here in the UK, again to help raise funds). We’re grateful that the donations are still arriving with us, even though we cannot offer a collection service anymore. This year we’ve received over 1000 bikes, around 150 sewing machines and countless books. There are too many names to mention here, but we’d love to thank the following extra special partners for their ongoing support; Halfords, Workaid, Recycle, Preloved, Stoke Police and Staffordshire Moorland Soroptimists. While things have been buzzing in the UK, Beehive Centre for Social Enterprise has always been buzzing and it continues to thrive. The creation of meaningful employment, family support, education and early years care is more important in Malawi now than ever before. The national economic situation has worsened, the cost of living is rising and life for many is tougher than it has been for years. Beehive continues to employ over 380 permanent staff and they are working harder than ever to ensure the enterprises thrive. One of the most significant developments is the expansion of Torrent Plant Hire into Mozambique. The management team spotted opportunities to increase revenue by expanding the rental service over the border where construction projects are more buoyant. This means that Beehive continues to stand on its own two feet financially; other than provision of resources from the UK, Beehive continues to generate all of its own funding. 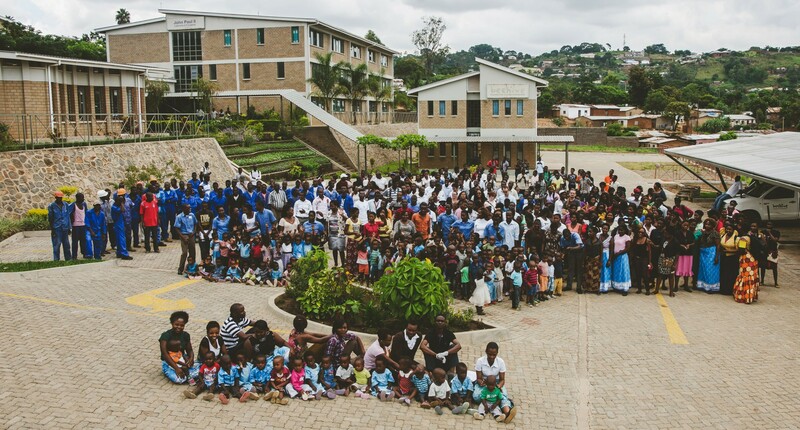 Another Malawi side success story is the growth of the John Paul II Leadership and IT Institute which has helped over 400 young Malawians to access top quality IT training this year. Around 60 of these students are now living in new hostel facilities which helps to reduce transport and living costs, making a valuable education more accessible. Some of the students have found employment within Beehive’s newest enterprise. This latest business offers data processing services to Malawian and international organisations. It’s so promising that Beehive are constructing a whole new building to house the enterprise. Designs for the new building are soon to be submitted for planning and the construction team are champing at the bit to begin building again! Beebikes, Books and Tailoring all continue to thrive. It’s now impossible to go anywhere in Blantyre without seeing red Royal Mail bikes everywhere! The ultimate beneficiaries of all this enterprise continue to be the children and families who receive early years care, primary education and family support from Mother Teresa Children’s Centre. 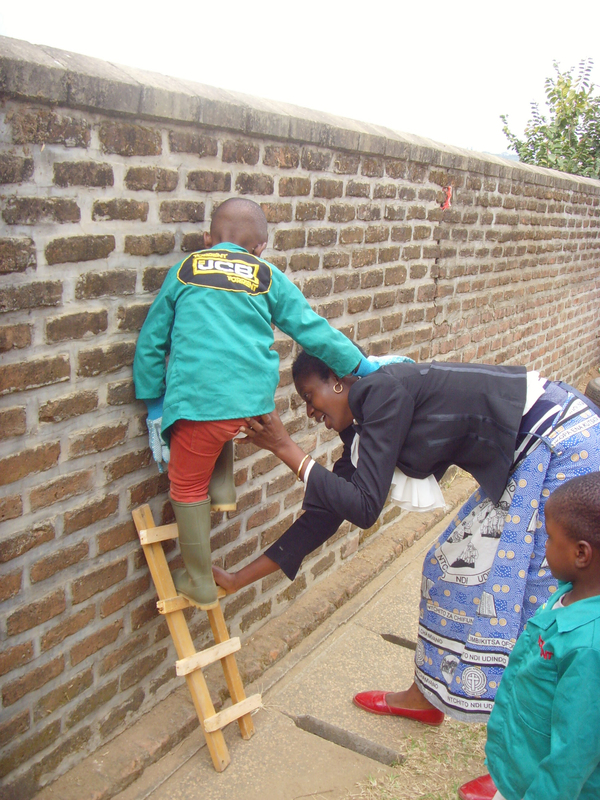 The team work so hard to provide top quality care to the hundreds of children they support. This year has been busy for MTCC as the centre is supporting a brand new vital feeding programme. Seibo is a Japanese charity, being managed by Declan Somers (our former Country Director). 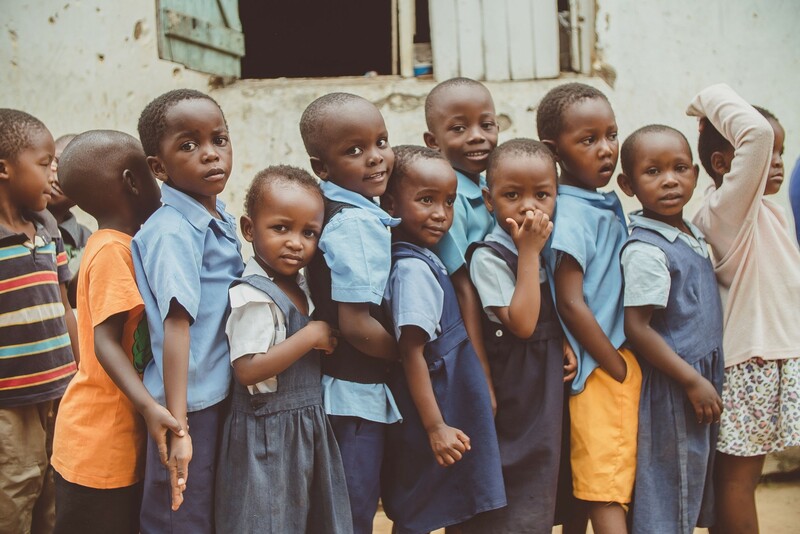 Seibo aims to feed every hungry child in the world a meal every day when they are at school. The feeding is starting in nurseries in Chilomoni, and we’re pleased as punch that MTCC has been able to help. Times are hard in Malawi, with two years of bad harvests there is real danger of people going hungry. Feeding children at school or nursery reaches the poorest of the poor and ensures children get an education as well as a meal. Another exciting development for MTCC came after we bid a fond farewell to Debbie Lawson, our longest standing volunteer Centre Manager. As her time in Malawi came to an end, she handed the leadership to Vasco Pafupi who has been with MTCC since the very beginning as a Care Giver. 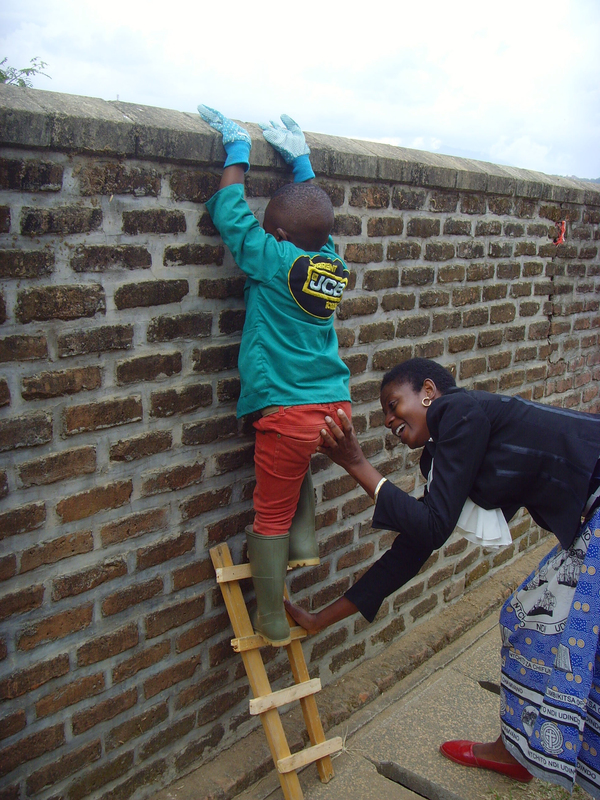 Vasco is supported by Olive Sekeni as Day care Manager. This move to Malawian management is truly exciting and reflects how hard the team have been working. Vasco and Olive have been joined by two new UK Trainers/ Consultants: Cindy Raymond is spending two years at the Children’s Centre to deliver Management and Leadership training as well as recruiting and training the next cohort of Care Givers. Laura Russell also joined the team as a Social Work Consultant. Laura, along with her husband Mark who is helping the finance team at Beehive, have moved to Malawi as their forever home , we’re really pleased they’ve chosen to work at Beehive. They join Donn our Architect, Julie our Country Director and Jo who looks after Seibo to make up our team of Malawi volunteers. 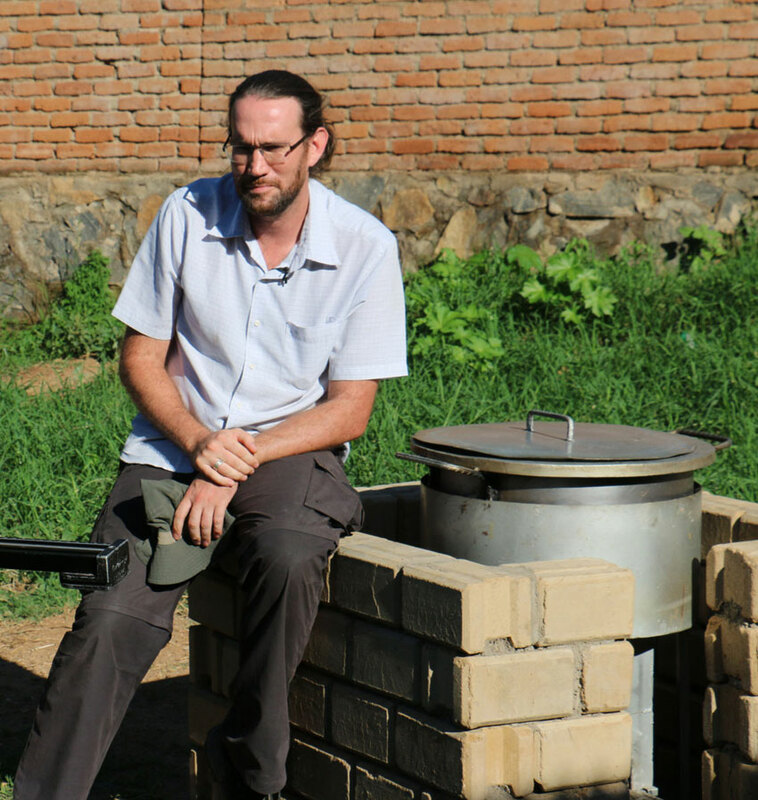 I should quickly mention that in March this year on a trip to Malawi,we were joined by Ollie from Hewitt and Walker, the amazingly talented film maker who made films for us in 2015. 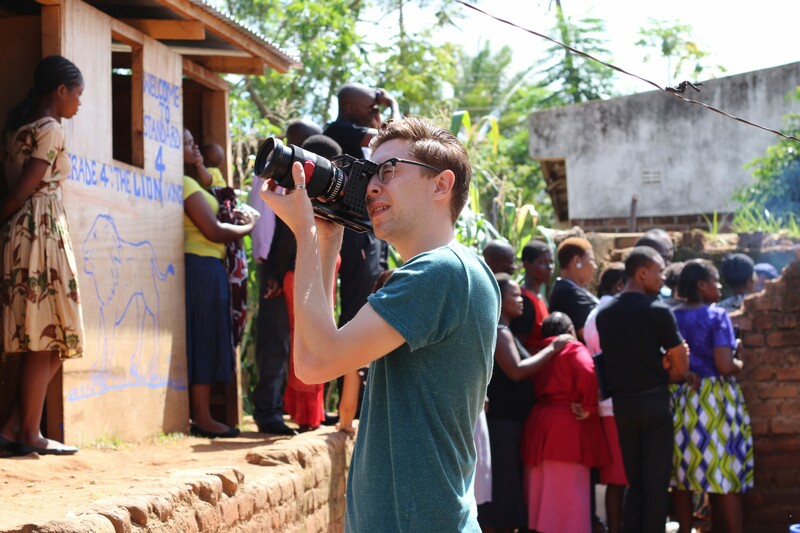 He shot fantastic footage for some lovely new short films showing more about life and work in Chilomoni… so keep an eye out on our Twitter and Facebook feeds as well as the movie page on this website for some cracking new films! Thanks as ever to Ollie, Brian, Sue and this time Charlotte too, for all your help and hard work. There’s probably much more news than that to share, but if you’ve managed to read this far… well done! You can count yourself as a genuine Krizevac fan;-) We’ll try to do shorter and more frequent updates from now on… but at least now you know we’re still here, still busy and still needing your support as much as ever, thank you! Our Elephants have been spotted! Or should that be “bikeman’s holiday”!? It’s been a hectic year here at Krizevac, launching the Elephant Bike enterprise has meant we’ve all been busy busy, so I was very much looking forward to my recent two week break. In planning a camping and caravanning holiday for myself and my husband, I realised that we really needed to take a bicycle each so that we could make the most of the end of summer and ditch our car. As it turns out, borrowing two demo-model Elephant Bikes from work was the perfect solution for us. I should explain that we have an aging dog, so we needed to plan all our rides around him. We had to be off-road and we could only manage a few miles before he needed a bit of a snooze. 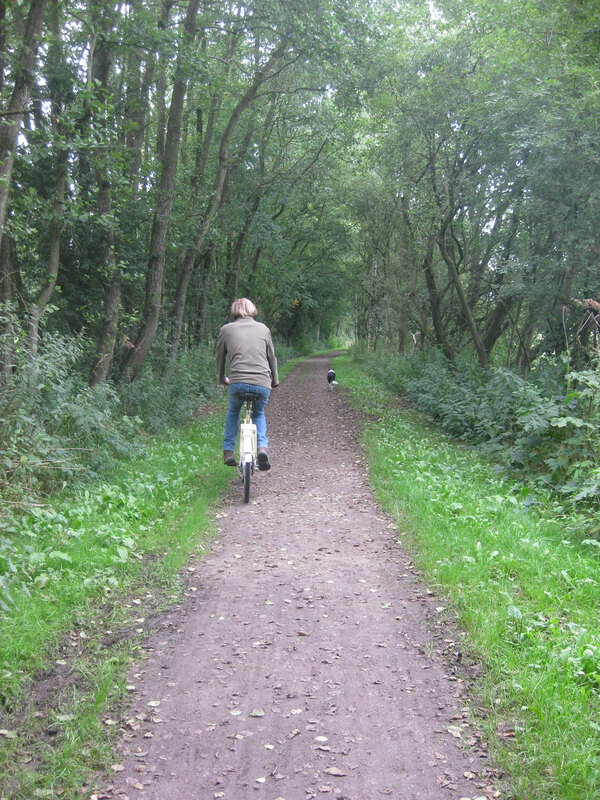 But as we stayed by an old railway line turned bike track, we were in the perfect place. 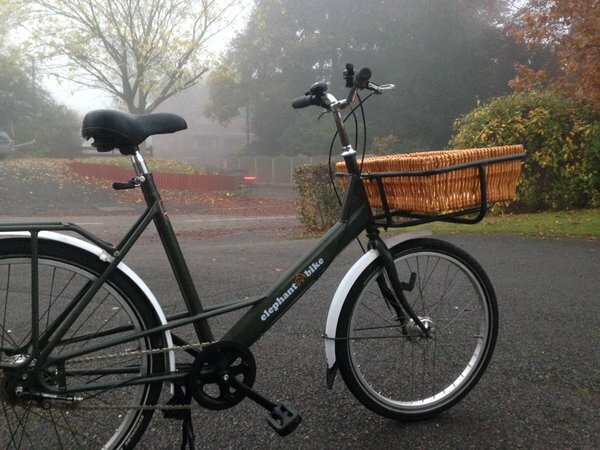 We had two of the large sized frames (I am 5’7” and my husband is 6’3” but 22 inch frame was perfect for both of us), we chose not to have the front carriers for ease of transport… that was our only mistake, the baskets would have been much easier than rucksacks. But we were absolutely delighted with the bikes in general. “It just feels like once you start pedaling the bike will go on forever” Jack (the husband) said, “It’s such an easy ride”. Man and dog happy to be heading towards the pub! 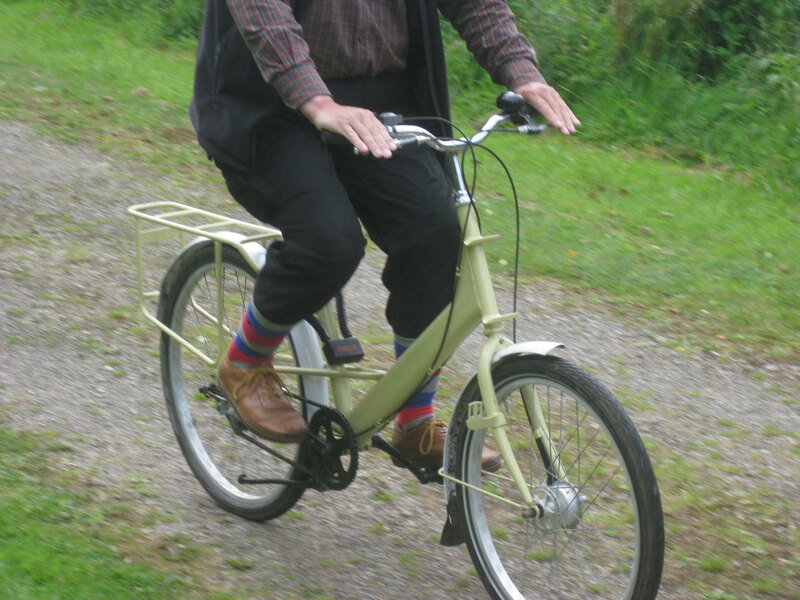 We even let my parents have a go when they came to visit; John said “I haven’t been on a bike for 30 years, but this one is so easy, it feels really safe” as he cycled off with his trousers tucked into stripey socks! First ride for 30 years… the socks definitely helped! We managed a good few rides, all on the gravel track which was muddy and occasionally slippery in places, but the bikes coped fine. The low gearing meant that (despite their weight) they were able to cope with pootling along at Border Collie speed, but when he did decide he had enough energy for a canter, the bikes were more than capable of keeping up. We used them to get to the shops and transport all our food. 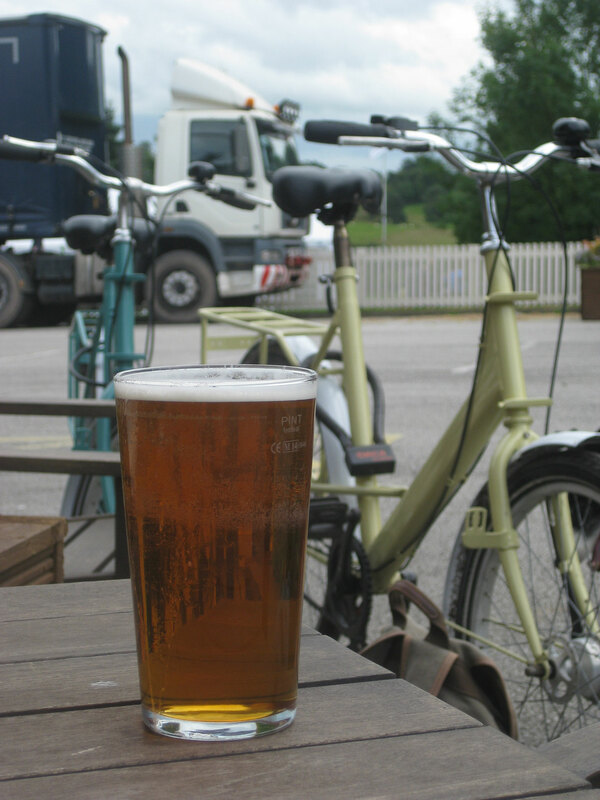 Of course, we made the odd trip to the pub too… well, we were on holiday! 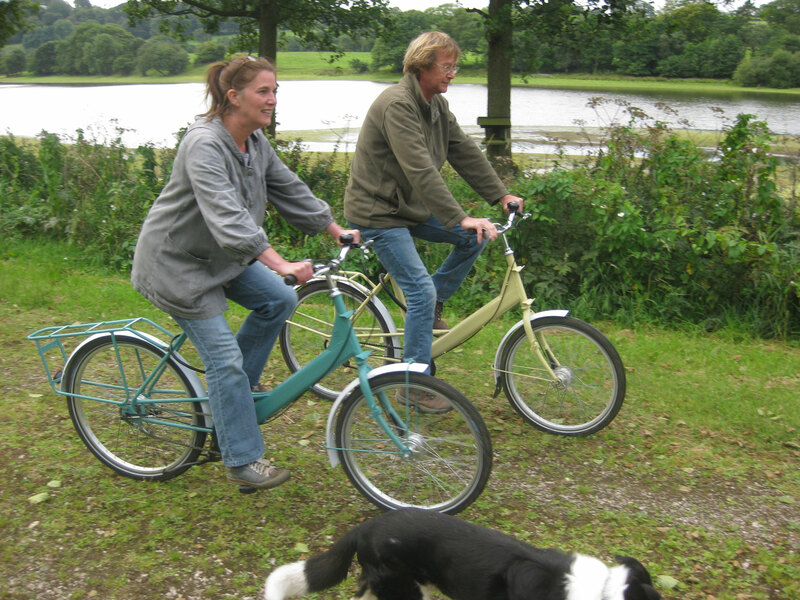 When my husband reads this bike review he’ll finally realise I had dual purpose in suggesting we used Elephant Bikes as our ride of choice. We’re selling these bikes so that we raise funds to pay to ship thousands more to Malawi and I have always believed in the “cause”. Now that I have spent two weeks on my two wheels I can say in all confidence that we have a brilliant product as well as a great purpose. Ele Bikes in their natural environment! Have you seen our brand new UK social enterprise yet? We’re selling a limited edition of really top-quality fully refurbished Royal Mail bicycles. Every one you buy gives another to Malawi, which means you get a great quality bike and someone in Malawi does too. 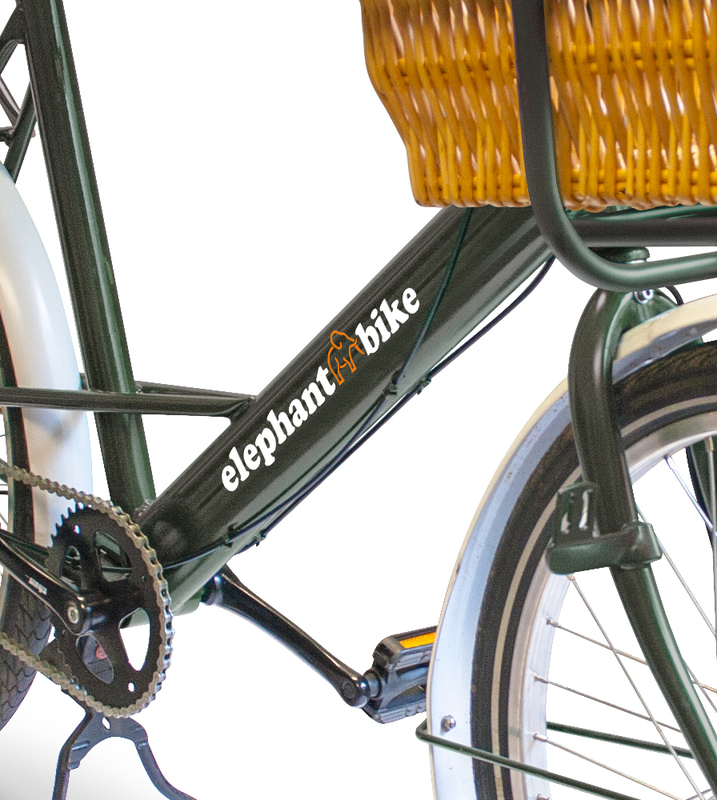 Have a look at www.elephantbike.co.uk for full details and you can like us on Facebook too! Yiyan (易言)- the new brand launched by Mobell Group to further support Krizvac Project! 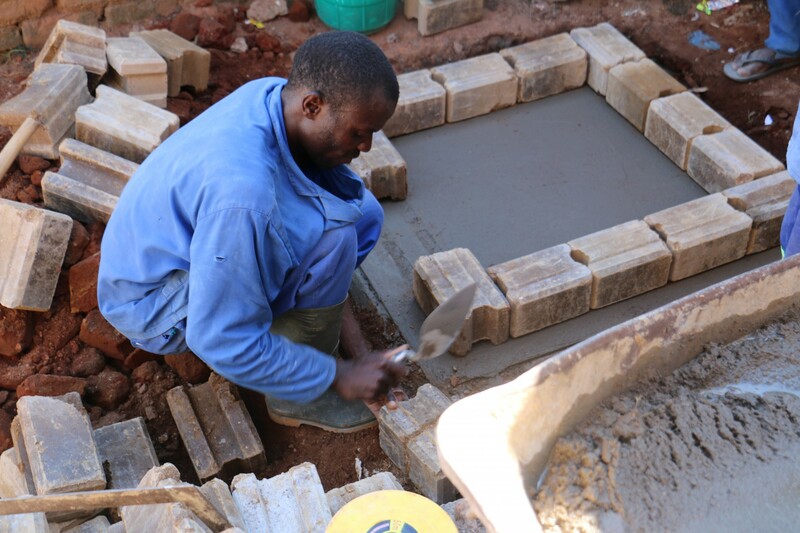 Over the last decade, Mobell Group has been funding Krizevac Project helping the neediest individuals in Malawi to transform their lives. Recently, Mobell Group has launched a new brand, Yiyan (易言), to further support our project. Yiyan (易言) is a brand designed to provide US domestic cell phone services to Chinese expatriates in the US. It offers the only post-paid US cell phone plans that serve Chinese speaking users that DOES NOT require SSN, credit history or deposit, which offers great convenience to the new arrivals. The deals that Yiyan (易言) offers are of great value at low cost. Users can get unlimited data usage from as little as $19/month. Before long, Yiyan (易言) received positive feedback from its users and started spreading out through word of mouth. Yiyan’s business model is based on Mobell’s successful Japanese product, HanaCell (ハナセル), a brand that provides US domestic cell phone services for Japanese expatriates. HanaCell (ハナセル) has been a good listener to the market, and therefore, in the rapidly changing market, it has been quickly adapting its services to meet the needs of the customers.